“Songs of Maldoror” was created in conjunction with the LACMA exhibition Drawing Surrrealism, an exhibition curated by Leslie Jones, curator of Prints and Drawings, and on view from October 21, 2012 to January 6, 2013 (www.lacma.org/art/exhibition/drawing-surrealism). 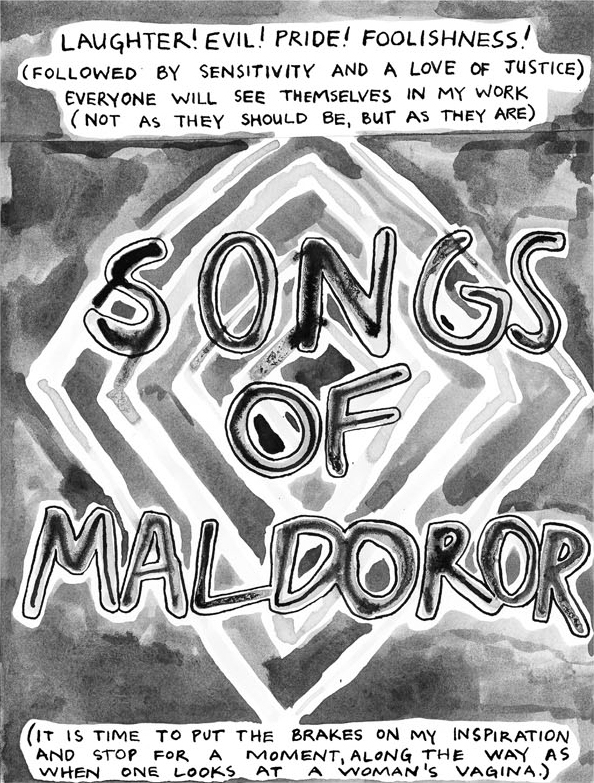 Taking the French gothic novel “Les Chants de Maldoror” as a source of inspiration, Alexandra Grant has created “Songs of Maldoror,” an original translation and illustration of Comte de Lautréamont’s text and imagery. Known for its imaginatively dark and sometimes savage narrative, many Surrealists were inspired by “Chants de Maldoror” for its graphic exploration of the human unconscious as well as its non-linear format. The exhibition Drawing Surrealism includes illustrations of the text by Salvador Dalí and René Magritte, as well as Grant’s contemporary edition, in the form of a newsprint take-away. Grant’s drawings use techniques such as the exquisite corpse, fumage and collage to explore both Lautréamont’s text and approaches to drawing used by the Surrealists. 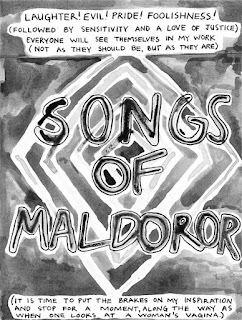 In addition to the newsprint project available to be taken freely in the exhibition “Drawing Surrealism,” the original drawings of “Songs of Maldoror” are on display at Art Catalogues, www.artcatalogues.com. For more information, please contact Dagny Corcoran at dcorcoran@lacma.org.